Oliver Samwer is the ruthless prince of Europe’s startup scene, characterized by his irascible temper, reckless ambition, and boundless energy for prowl and pillage. Evidenced by a recently leaked email and insider reports from ex-Rocket employees, Oli’s autocratic management style and expansion strategy has been the subject of intense discussion as of late. In arguably history’s most influential political text, Niccolò Machiavelli asserts the control of one’s own power as the only certain ethical goal. He advises princes to undertake great projects to enhance their reputation, and identifies naturally-born leaders by their ability to take decisive action, irregardless of cost. The parallel between The Prince and the self-proclaimed “most aggressive guy on internet on the planet” is significant. The slander of the Samwer name continues to resound through the streets of Berlin, amplifying with each egregious act. Machiavelli advised, “it is impossible for the new prince to avoid the imputation of cruelty, owing to new states being full of dangers.” Rocket’s achieved success has thus far justified its means. But how much longer will the principality thrive? It is also dramatic and extreme, encouraging his troops to sacrifice their lives in market conquest. “Now it is time to either decide we will die to win or to give up,” he says. The nature of the blitzkrieg is its coordination and timing across every market. To strategically adjust his men to the delay, he calls for further aggression. 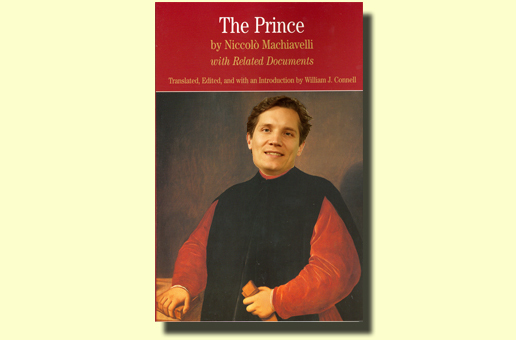 As an apparent final warning to Oliver Samwer, Machiavelli issues the following advice: The prince “ought to be slow to believe and to act, nor should he himself show fear, but proceed in a temperate manner with prudence and humanity, so that too much confidence may not make him incautious and too much distrust render him intolerable.” Failure to heed this warning will result in international expulsion. Let it be heard: The Samwer principality is hereby crumbling.